Renowned as the world’s leading Constant flow escape set, the ELSA (Emergency Life Support Apparatus) from Scott Safety is designed for rapid escape from hazardous industrial and marine environments. Constant flow Emergency Life Saving Apparatus complying with EN1146. 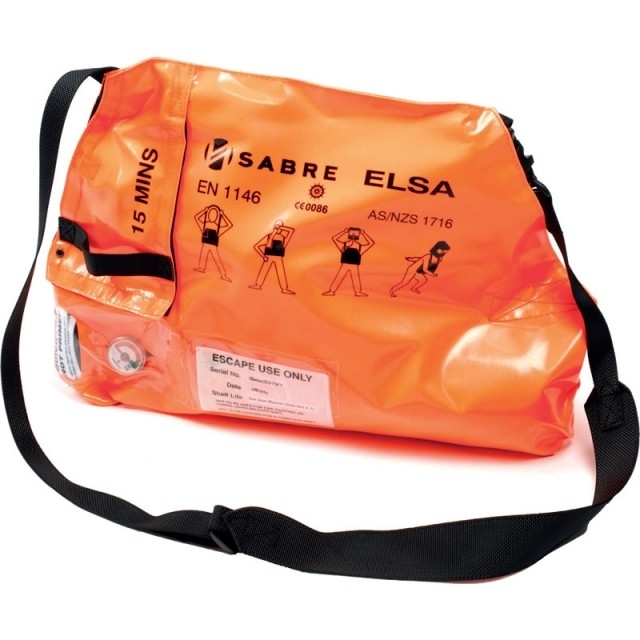 Features 3 litre 200 bar steel cylinder to CE specification and combined pressure reducer and cylinder valve assembly Automatic activation of valve upon opening of bag and unique design of hood providing optimal vision which can be worn over spectacles and long hair Bag is orange in colour with universal pictogram instructions.